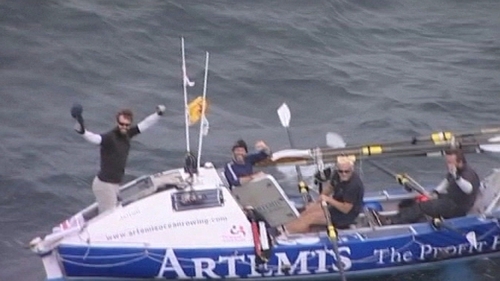 Ray Carroll, who was part of the four-man team which set a new transatlantic rowing record at the weekend, is taking part in a drive to help young people overcome depression. The 33-year-old rower says he wants to raise awareness of the services now available in Galway. Jigsaw is a free and confidential, and private, support service for young people, aged 15 - 25, in Galway city and county. Jigsaw was created as a partnership between Headstrong (the National Centre for Youth Mental Health), the HSE (Health Service Executive) and Mental Health Ireland.